As part of a global initiative of the Association for Progressive Communications (APC), DEF initiated ‘Internet Rights’ in 2011 to advocate ‘Internet access for all’ at the national level. As its first step of the project, DEF & APC jointly submitted their first UPR (Universal Periodic Review) in 2011 focusing on Internet rights and making Internet an effective tool to access right to information in India. A second report is now under preparation. In 2014, DEF, being a country partner, along with APC initiated a project titled, IMPACT (‘Networking for freedom online and offline: protecting freedom of information, expression and association on the Internet in India, Malaysia and Pakistan’ in India). The project aims to build awareness among different stakeholders of the enabling role of in freedoms in strengthening human rights and democracy. The project also monitors and documents Internet human rights defenders tools and support to respond to threats and violations. The project supports the participation of national rights defenders and civil society advocates in regional, national and global multi-stakeholder Internet governance bodies. Through awareness-raising and capacity-building, the project will reach out to human rights defenders – activists, national rights institutes, media rights advocates, judiciary, legal sector, women’s groups – and civil society in general, and provide them with knowledge, tools and networks so that violations can be monitored, reported and addressed. Digital Citizen Summit aims to provide a multi stakeholder platform to discuss issues relating to Internet governance, human rights online and the future of the Internet. Four main thematic areas drive the discussions – Access, Freedom of Expression, Privacy, and Digital Literacy & Empowerment. Policy makers, civil society organisations, private players, academics, government representatives and users are invited to discuss the myriad issues facing the digital world at this annual summit. 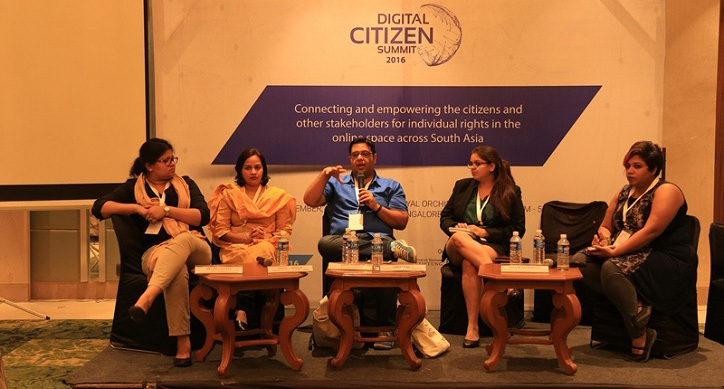 Digital Citizen Summit seeks to become the South Asia equivalent to other forums like Internet Governance Forum and APRIGF. Care has been taken that minorities – whether that be gender, sexual, ethnic or people with disabilities are represented on panels and the issues they face are brought to the fore. So far, the summit has seen representations from eight countries —Bangladesh, Philippines, India, Bhutan, Nepal, Sri Lanka, Argentina, and South Africa. The rapid growth of mobiles and the Internet have changed the way in which communication and development take place. It is strongly perceived that the subject of mobile as a tool for social and behavioural change is an emerging area among stakeholders in communication for development space. 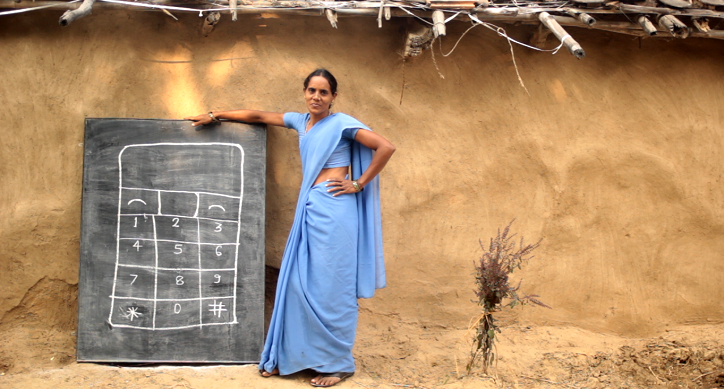 ‘Mobile Phone as a Tool for Social & Behaviour Change’ is a joint effort of UNICEF India and DEF to explore various projects where women, adolescent girls and youth have effectively used mobiles in areas of health, education, sanitation, environment, monitoring and training of frontline workers. Trying to examine the prospects of ‘Mobile Phone as a Tool for Social & Behaviour Change’, DEF and UNICEF India organised a two-day consultation on 9th and 10th May, 2013, in New Delhi. The second part of the project attempted to scale up at a wider level and provide solution-based tools to various ongoing challenges surrounding the issue of women, adolescents, youth, girls, children and sectors across health, education, nutrition, and empowerment. This project attempts to study concerns around MSBC and create a formidable platform to provide knowledge on diverse MSBC implemented projects and help in developing partnerships between state governments and MSBC players. 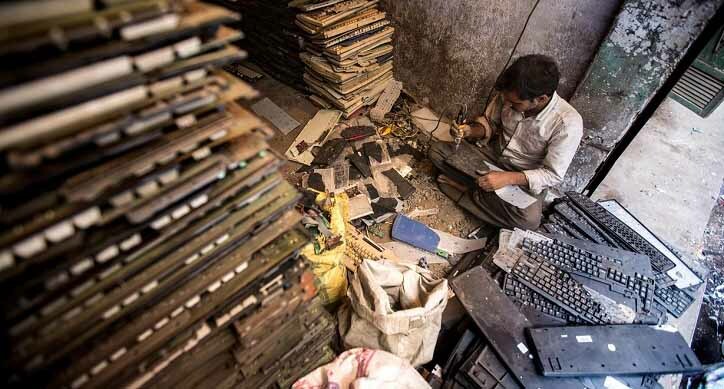 Targeted states are Uttar Pradesh, Madhya Pradesh, Assam, Andhra Pradesh, & Tamil Nadu. Green Prakriya was a dynamic one-time platform created to initiate a continuous process of learning, sharing and collaboration among all stakeholders towards empowering a sustainable habitat. The objective was to create a knowl­edge eco-web of how information and communication technologies can play an instrumental role in empowering a sustainable habitat. It was an integration of all efforts towards the attainment of the goal of Green India and practicing optimal utilisation of the given natural resources as envisaged in the Prime Minister’s National Action Plan for Climate Change. The platform, when established, aimed to track and monitor the growth of technology waste in the society; promote multi-stake­holder collaboration for using ICTs to protect the environment; create a rich knowl­edge base of technology solutions for addressing environment issues; conduct awareness and outreach programmes through seminars and workshops; encourage policy advo­cacy for use of ICTs to protect the environment Having worked on a baseline report on India’s National Policy on e-waste titled ‘ICT and Environmental Sustainability’. We wanted to be holistically involved in the digital domain and hence take up the responsibility to see to it that digitalization that remains an asset to the economy does not turn into a liability. Digital Innovation Ecosystem Review is an initiative of the International Telecommunications Union (ITU) to understand the digital ecosystems of developing nations in an effort to highlight the best practices, identify the challenges and suggest recommendations for a strengthened digital innovation ecosystem where all stakeholder groups contribute and earn benefits. This was achieved through primary survey of six individual groups (academicians, finance, public sector, private sector, entrepreneurs, and support groups), besides secondary data analysis of existing ecosystems with Kenya and Thailand and success models around the world. Further, workshops were hosted by members of ITU and DEF for the stakeholder groups to brainstorm on their respective policies. As an outcome of the initiative, the respective governments of Kenya and Thailand were handed over the research study to incorporate measures to reach their digital ecosystem vision more efficiently. Conversations on the Internet, particularly social media, are often a reflection of the conversations that one has offline. However, online conversations come with the advantage of not being restricted to a small group of people physically present around you. The barriers of geography and time do not exist online. However, not everyone uses this opportunity for positive messaging. In an effort to address the challenge of misinformation and disinformation in the country, WhatsApp has partnered with DEF to create awareness among WhatsApp users about the need to verify information. In the run up to the upcoming Assembly and General elections, DEF has committed to hold 40 training sessions for community leaders in 20 districts of 10 states across the country where there have been worrisome cases of violence or in states that will go to polls before the end of the year. Under this training workshop-oriented initiative, DEF organises workshops to educate government officials, administration representatives, police officials, civil society organisations and college students to help spread the word about the challenge of the increasing virality of fake news. The training will encourage WhatsApp users to be more open towards other communities, to enable them to differentiate between opinions and facts, and to inculcate a habit of verifying information through simple checks before forwarding it to their friends and family. In addition, DEF will incorporate this new training as part of their network of over 30,000 grassroots community members in five states. As part of this project, DEF is also working on a survey research project to understand the trends of WhatsApp consumption in Tier III cities and villages of India, and to analyse how users are accessing and processing the information they receive on their messaging application. DEF’s regional team in Rajasthan is also a contributing partner to the temporary newsroom set up by BBC in Rajasthan, ahead of the 2019 General Elections, to identify viral messages and debunk fake news. Trolling or cyber bullying is a phenomenon that is on the rise around the world and the United States and India are no exception. A recent National Women in Media in India (NWMI) conference underscored how female media professionals (journalists, bloggers, editors, publishers) and minority communities (LGBTQ+ community, religious minorities) are particularly subject to abuse by online trolls who seek to muzzle, intimidate, misrepresent, and stymie these individuals and their respective institutions or communities. Tracking the Trolls: A South India Initiative is a survey research project that aims to assess the nature, scale, and impact of trolling targeted at media persons, lawyers, technologists, activists, academics, NGO workers, and civil society at large in South India. Under this initiative, DEF is carrying out a research survey with 1000 respondents to ask them about the nature of trolling they receive/received. The quantitative findings of this survey, complimented with supplementary research and interviews, will investigate the social, psychological, and professional impact this online behaviour may cause. Once the research findings are analysed, DEF will present the results through a research report at a two-day workshop in Bengaluru in 2019 with the aim to find ways of building resilience among individuals to counter trolling. This workshop will serve civil society to come together to ideate on solutions and create a consortium of relevant stakeholders who will work to implement potential solutions to target online trolls. You can take the survey in English, Tamil, Kannada or Malayalam. Community Network Exchange (CNX) is an initiative of Digital Empowerment Foundation to constantly empower communities, especially marginalised and information-dark communities throughout Asia Pacific Region, with the power of information and know-how of community networks. 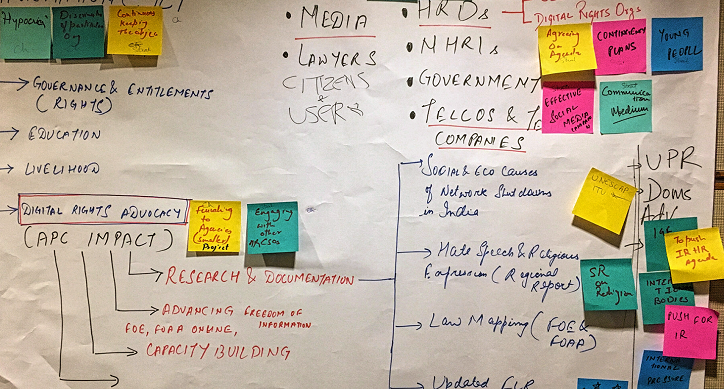 Organised as an annual workshop supported by APAC and the Internet Society, CNX 2017 saw community network operators from Asia Pacific engaging with each other to share their models, problems and solutions. The next CNX identified synergies between community networks and community radios in an effort to promote public Wi-Fi system across Asia Pacific. At the core, CNX works on three levels — Training & Exchange, Knowledge & Network, Research & Advocacy. Through these levels, it aims to develop a comprehensive and self-contained guide to strengthen grassroots expertise by training community members in basic wireless technology and organise country-level exchange programmes for learners and barefoot wireless network engineers. Most recently, 10 international community network operators underwent a 10-day training programme in Guna, Madhya Pradesh, to understand community networks in the Indian context under the Community Network Championship. Under Knowledge & Network. An initiative by Digital Empowerment Foundation and OLX WebAware, Project Women Act Against Trolls (WAAT) aims to build a community to fight back against trolls, cyber bullies and online stalkers. WAAT provides a central repository of information one must be equipped with to report online abuse. The web page compiles information about cybercrime cells in India, cybercrime laws in the country, digital security tool kits, resources to help those facing cyber bullying, and a discussion board where people can share their stories and find support through our Friends of WAAT. We understand that DEF can only achieve its goals with the full support of all stakeholders, including the government, industry, civil society organisations and ordinary citizens. This requires advocacy campaigns; and advocacy in turn requires research and knowledge support. Projects in this programmatic area, therefore, address the twin needs of advocacy and research.